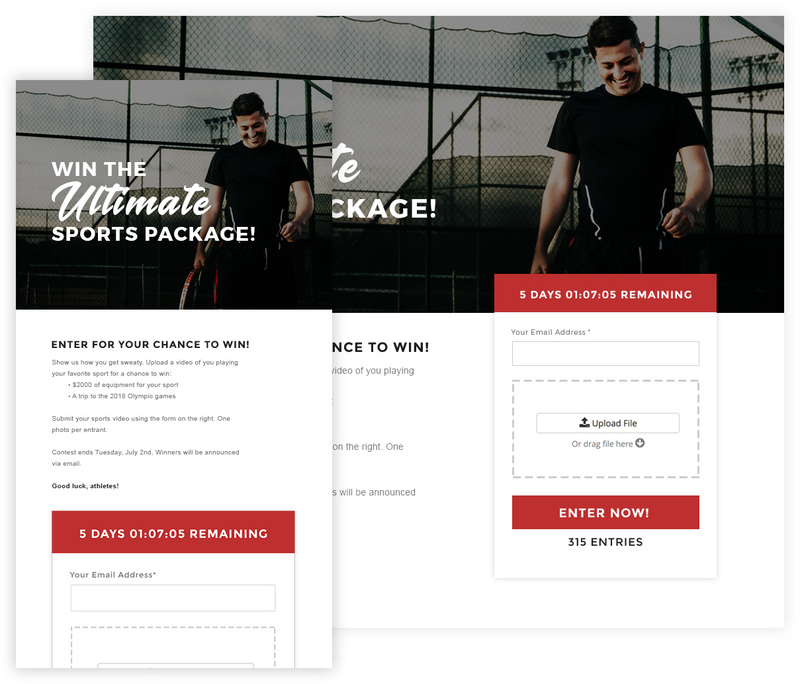 Video contests that engage fans and followers. 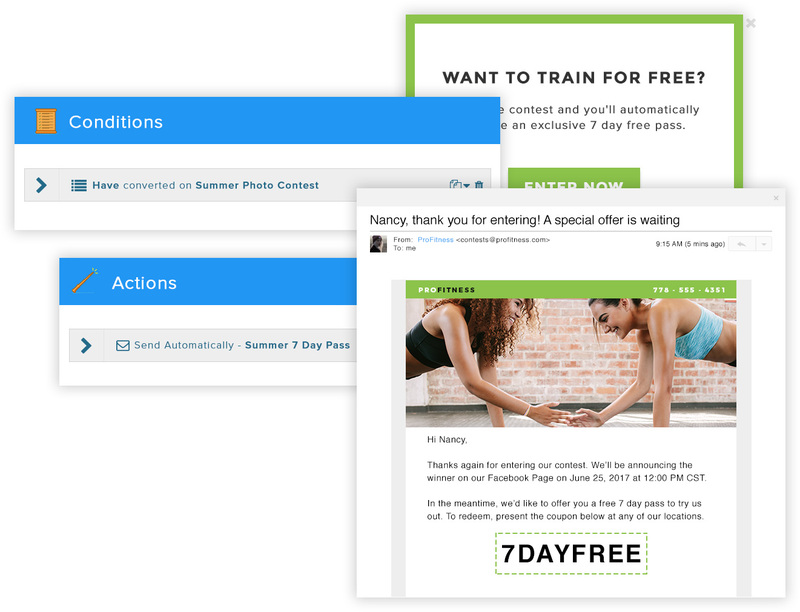 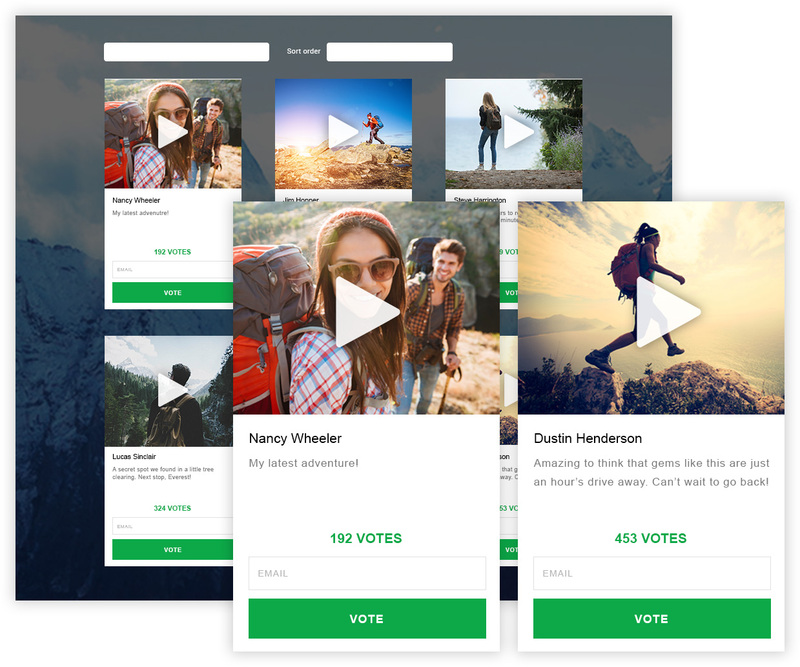 Wishpond’s video contest tool makes it easy to build and run your next video contest on YouTube, Facebook, your website and more. 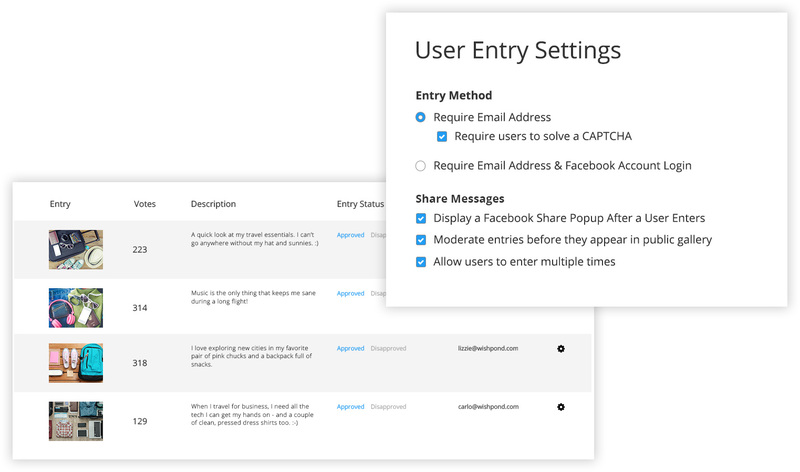 Video contest entries automatically get added to a gallery that shows video captions, entrants, and votes. 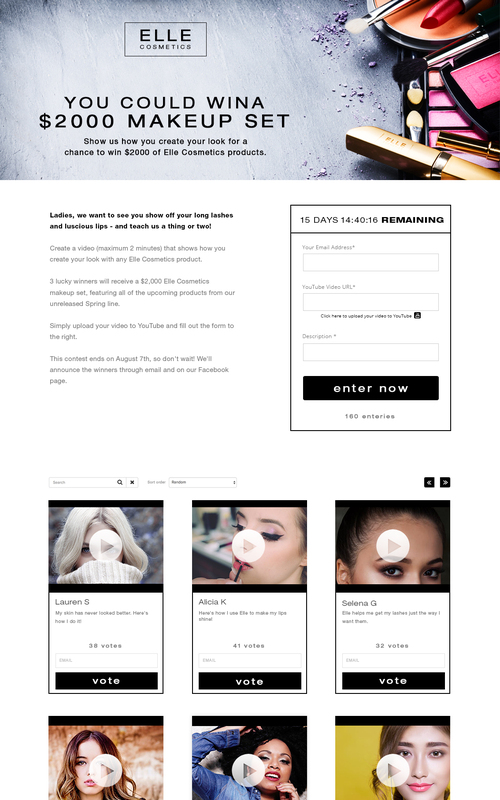 Contestants enter by uploading their video to YouTube. 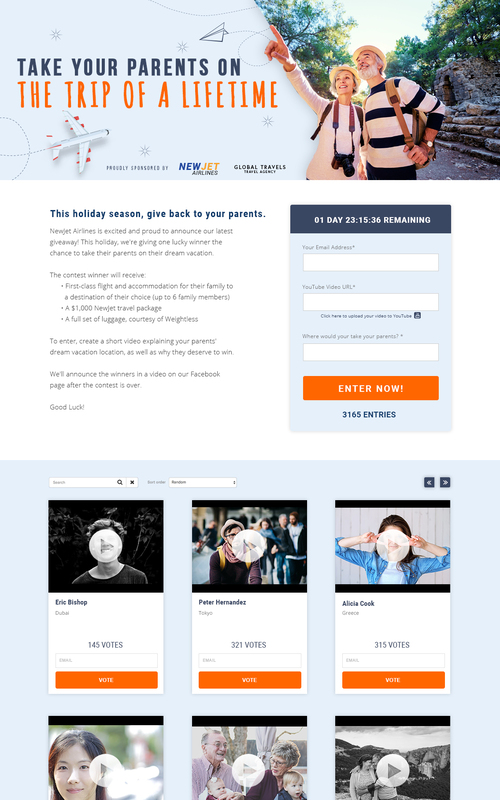 Each video contest entry gets its own unique URL to help your contest go viral. 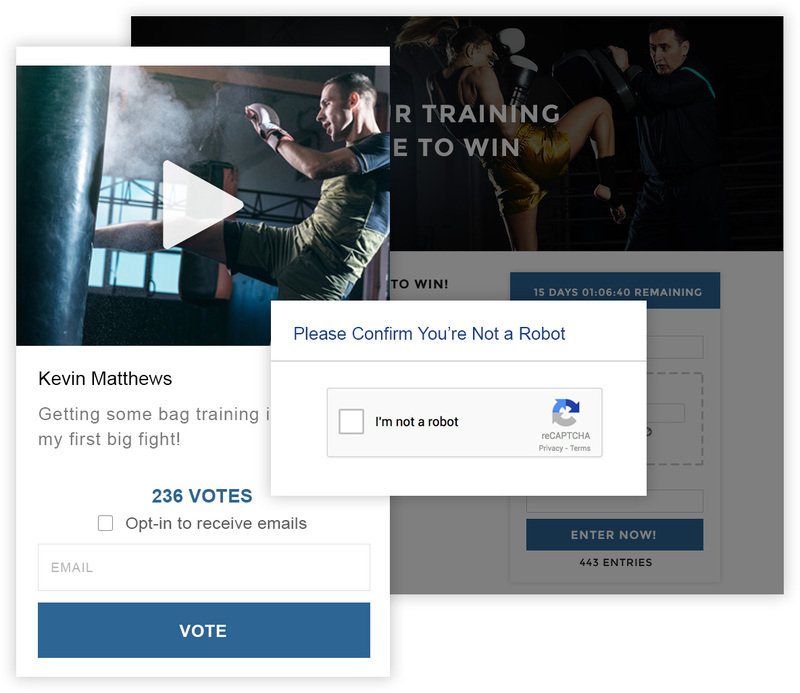 Add voting to your video contest and collect voter information.  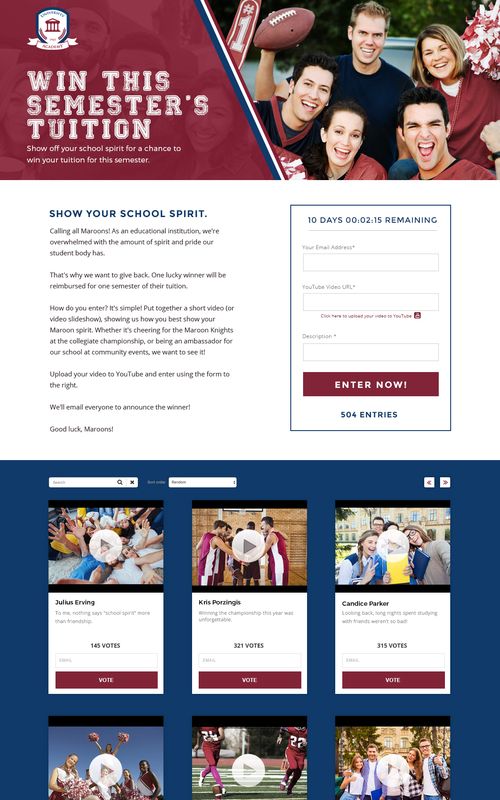 Wishpond’s video contest builder automatically creates contests that look great on desktop, tablet & mobile devices, no coding required.